Are Those Pokemon Servers Down Again? 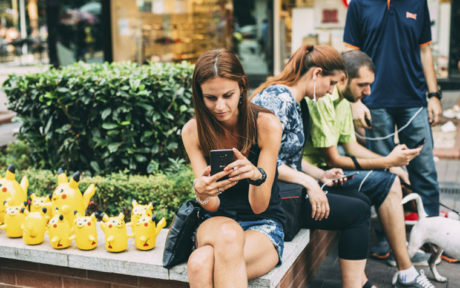 Pokémon Go has only been live for a month, and it’s already taken over. It’s crossed all demographics and spread like wildfire. You probably can’t drive or walk through your neighborhood in the evening or pass by a park without seeing people playing. But what happens when you finally find that elusive Pokémon, only to have the game shut down and ruin your chance at capturing him? The developers of Pokémon Go have likely received thousands of complaints over the last month from avid players experiencing that exact same scenario. This “servers down” situation has happened so often, there are now websites and Twitter feeds dedicated to informing players of Pokémon Go server status (@PoGoServer, https://ispokemongodownornot, e.g.). These outages are primarily driven by high demand needs and, in some instances, security hacks. To be fair to the Niantic developers, they probably could not have predicted this incredible success. Kudos to them for building an app people can’t wait to consume. If you opened Pokémon Go earlier this week, you may have noticed an app update. The update fixed many things, but still no mention of fixing those pesky crashes. The average rating of the app on Apple’s App store has plummeted as one-star reviews have increased. Some of those ratings are due to recent tracking changes, but also reflect the overall experience. With the growing trend in Augmented Reality applications resulting in massive content consumption, the struggle for developers is to find solutions for consistently and securely maintaining the delivery of that content. Not only that, but it has been predicted that the amount of content delivered by machine-to-machine interfaces will more than triple over the next 5 years. According to Cisco’s 2014 Global Cloud Index, global data center traffic will hit 9 zettabytes by 2018. As a result, application developers need to demand more from their data center providers and challenge the way they deliver data center capacity. From our perspective, the solution to this problem can be seen in a data center deployment model which acts like a “hub and spoke” system. Taking this approach, the “hub” would be the centralized aggregation and processing points and the “spokes” would be the edge points where users are located across the network. In the Pokémon example, traditional colocation data centers’ networks/facilities would continue being the main points where application data is stored, while edge endpoints would be set up to manage the high volume demand coming from unknown locations throughout the Poke-verse. Additionally, if a single site is compromised due to a physical or logical security breach, they can be quickly isolated and removed until the threat can be eliminated; relying on other nodes to pick up the slack caused by a loss of one unit. This concept is seen throughout a large content distribution situation as previously discussed in this article about The Internet of Everything (see link). BASELAYER’s EDGE data center modules were designed and built for this exact use case. EDGE units can be used to create this data center network and enable the next generation of games and human-computer interactions. These products are designed to support adaptive scalability as demand changes, giving application developers the confidence to know that their creations will be both secure and available to deliver content consistently to users. Samir Shah is Chief of Staff at BASELAYER.